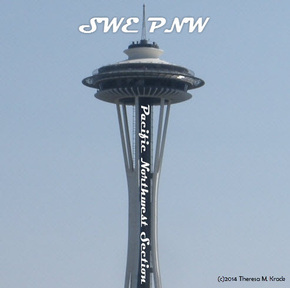 Welcome to the home of the Pacific Northwest Section of the Society of Women Engineers, SWE PNW! Our section is focused on helping our members be successful, providing opportunities for professional development and networking with others in the Science, Technology, Engineering, and Math fields. We also strive to pay it forward to the next generation by supporting our members and their local communities through a variety of outreach events and activities. We invite you to join us - explore our Events & Activities page, learn about our section, even attend some of our events. If you have any questions or want to share your thoughts, let us know through our Contact Us page. To keep in touch with the latest section news, use the form below to sign up for our mailing list. Also be sure to check out the Member Communications page to learn about our other methods of communication with (and between) our members.